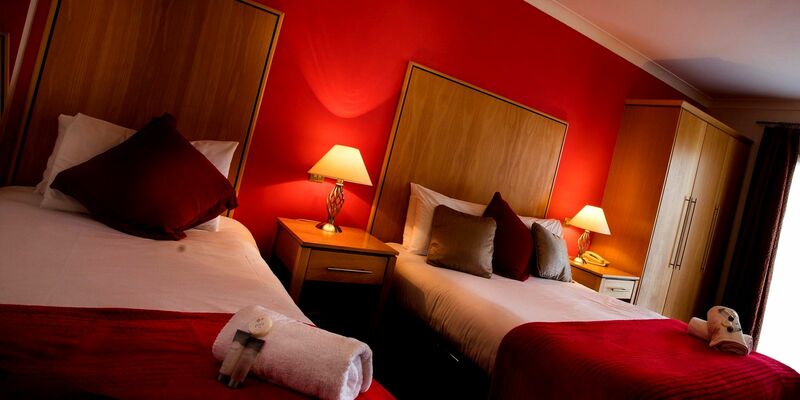 The Hotel Bedrooms at the Quality Hotel in Youghal provide very comfortable accommodation for our hotel visitors. There are twenty five well appointed guest rooms. The range of options includes family rooms, triple and double bedrooms and we also have three bedrooms with full disabled facilities. The Resort ranks in the 'Top Ten Best Family Hotels in Ireland' on Trip Advisor! 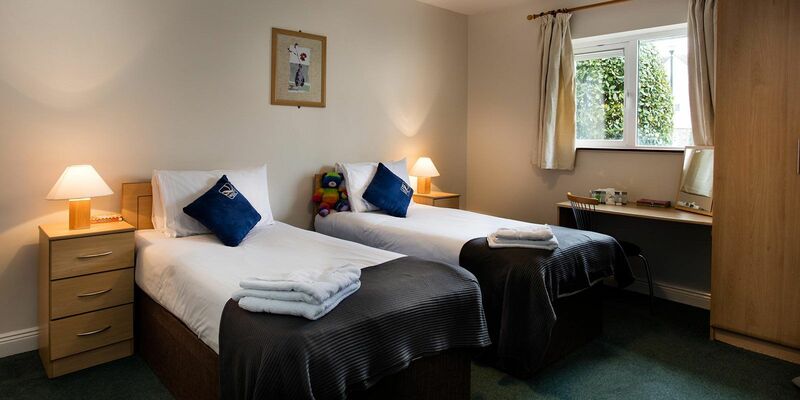 Our accommodation is all the better because there are loads of fun activities available for the kids, both in the hotel, the leisure centre and right outside the door on the beach! The location is also ideal venue for visiting the many attractions in the Cork region. Fota Wildlife Park, Leahys Open Farm and Perks Family Entertainment are only a short drive away. 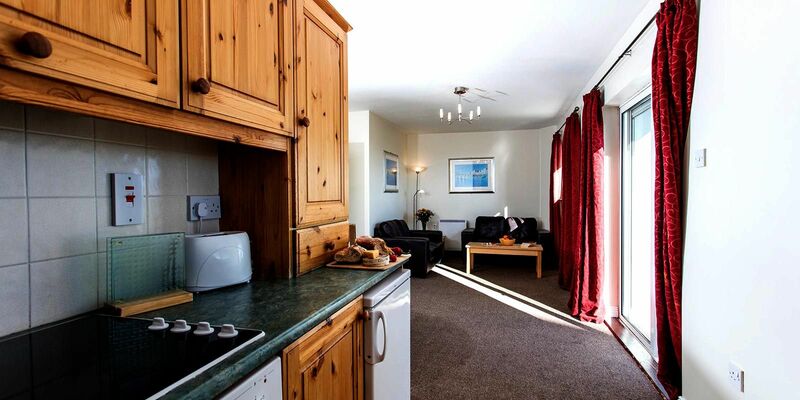 Self catering Apartments and Holiday Homes are also available for guests. Guests are welcome to use the hotel facilities & Leisure facilities prior to check-in. Please contact hotel reception on arrival. It is hotel policy to request two forms of identification on check in. Also, if the accommodation has been reserved with a credit card this credit card must be furnished at the time of check in. We have a security deposit requirement for all accommodation and this must be paid in cash upon check in and backed up with a copy of a credit card. A debit card cannot be used for security deposits. All rates quoted are subject to availability and change. All regular bookings must be cancelled by midday on the day prior to arrival to avoid cancellation charge of first night stay. Cancellations can only be implemented by phoning or faxing Quality Hotel Youghal directly. On booking, guests are advised to save the cancellation confirmation number they receive. All weekly and summer booking require a non-refundable deposit of €250. The card provided for booking will be used to secure this deposit. This is charged to your credit card at the time you “make reservation” submission online. The hotel will contact guests directly regarding their bookings and dates. Note: The booking deposit will show as 'Net Affinity, Dublin' on your credit card statement. The remaining charge is payable to the hotel upon arrival by cash / Laser / Debit Card, alternatively a Credit Card can be taken to secure the amount due. SUMMER BOOKINGS: A deposit to the value of the first nights’ accommodation will be secured to guarantee your dates for you. This is non-refundable and non-transferable for summer dates. The 48-hour cancellation does not apply for summer bookings. There is a Security Damage Deposit payable on check-in of €250 for all Holiday Home Bookings - this can be paid by a pre-authorisation on a Credit Card / Laser payment / Debit Card Payment or cash. This is fully refundable following an inspection of the house by Housekeeping on departure. 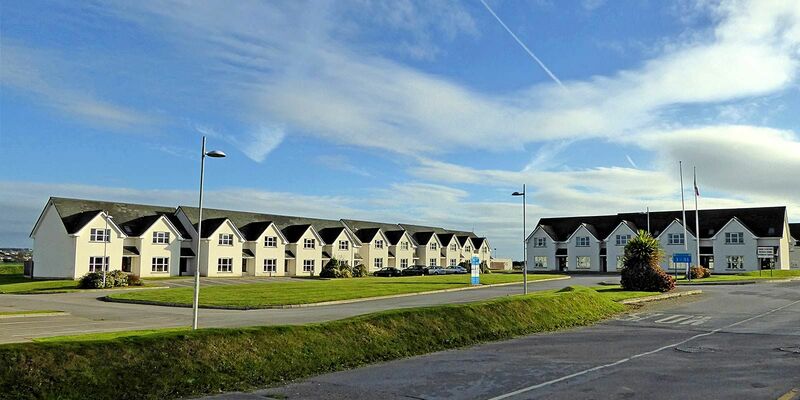 While every effort has been made to ensure the accuracy of all material on the Quality Hotel Youghal website, Quality Hotel Youghal does not accept direct, indirect or consequential liability for loss or damage due any errors or omissions. At Quality Hotel, we offer good value deals all year round. You can choose exactly what you want, from a one-night stay, to a two-night break away to the sea, or a week long visit during the summer school holidays. We are sure to have something to suit your budget!